With the best ornamental iron doors in San Mateo/ Redwood City our company will work with you to create the most beautiful iron door you can possibly imagine. our San Mateo/ Redwood City Iron Door division is simply class, taste and overall excellence. 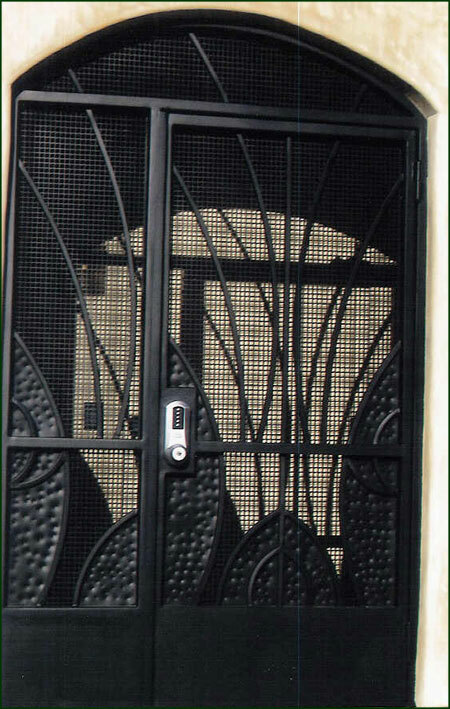 We offer a wide variety of ornamental iron doors in both standard and custom sizes and designs. Iron entry doors provide immaculate beauty and style without having to have a security screen door out front. When you compare our companies ornamental iron doors to other San Mateo/ Redwood City Iron Door companies you will see why we are Berkeley's number one choice for Wrought Iron Doors. We have many different options in inventory for you to choose from. Please fill out the form below and we will contact you as soon as possisble!